Sadly I am guilty of a history of clutter. With bad habits of hoarding and splurging on unnecessary stuff, it soon builds up and is a hell of a habit to break. 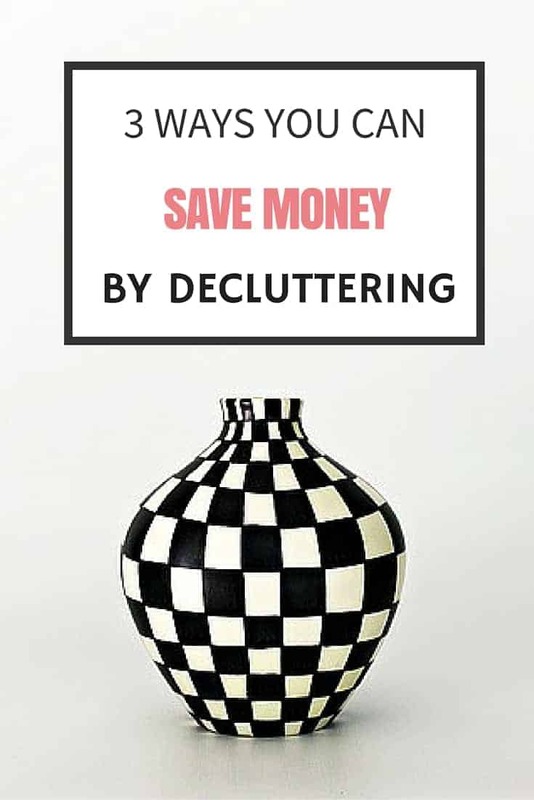 However it is possible and one of the biggest motivators (aside from the amazing feeling of a clear, clutter-free home) is the fact you can save money decluttering. I’ve covered how decluttering can make you money a lot in the past, when your trash can become someone else’s treasure, but it can save you money too in several ways, which is just another reason why you should declutter now. Clear home = clear mind! When you have too much clutter, you spend more time cleaning, more time searching and overall more time is being wasted. Wasted time means less time to be productive doing things that could be making you money, such as working, creating and building dreams. Less to clean also means spending less on cleaning product and organising systems. When you have clutter, sometimes you simply cannot find the things you need, despite knowing they are hiding somewhere in your mess. Or worse, you forget you already have a certain item because you haven’t seen it beneath the clutter for some time. That is money wasted. A clutter free home is an organised home where you know where to find everything and far reduce the risk of buying the same thing twice, thus saving money. Once you clear your life of unnecessary clutter, most people find they no longer feel the need to spend money on excess stuff they don’t really need anymore. No buying that blue vase just because it was on sale, or 4 pairs of the same shoes in different colours, just because they are a good fit. Less buying means you save money decluttering. Can you think of any other ways you can save money decluttering? Such a simple word we fail to Understand! Once we hav decluttered our homes our lives start to declutter too ! That’s life my friends , let go of things you don’t need , maybe someone lesser fortunate needs it ! Give it away , no point holding on to something you no longer require!